Gypsy Beaumont has always been a whirly-twirly free spirit, so as her thirteenth birthday approaches, she hopes to get a magical ability that will let her fly, or dance up to the stars. Instead, she wakes up on her birthday with blurry vision . . . and starts seeing flashes of the future and past. 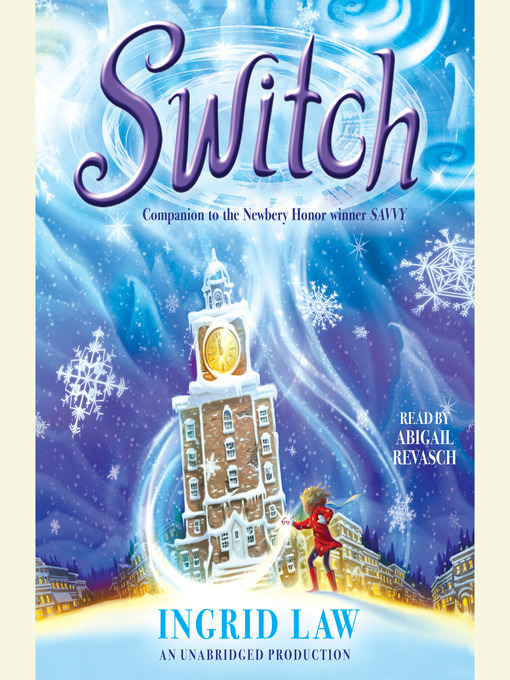 But when Momma and Poppa announce that her very un-magical, downright mean Grandma Pat has Alzheimer's and is going to move in with them, Gypsy's savvy—along with her family's—suddenly becomes its opposite. Now it's savvy mayhem as Gypsy starts freezing time, and no one could have predicted what would happen on their trip to bring Grandma Pat home . . . not even Gypsy. With her trademark style and whimsical, beautiful language, Ingrid Law has written another wonderfully moving companion to her Newbery Honor winning Savvy.